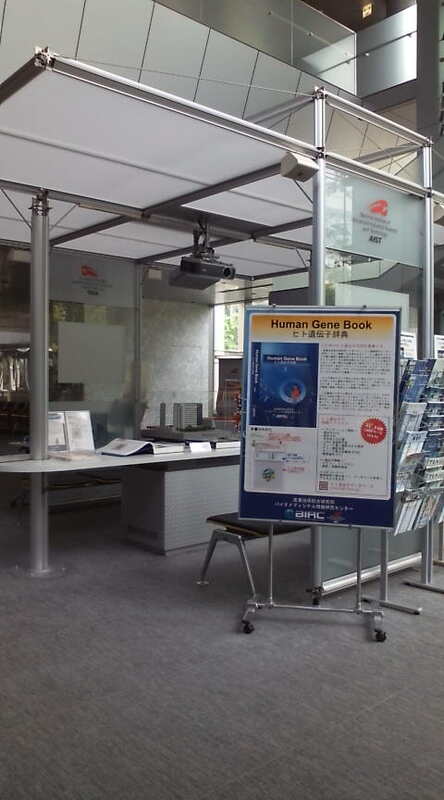 We published "Human Gene Book"
Biomedicinal Information Research Center (BIRC), National Institute of Advanced Industrial Science and Technology (AIST) aims to promote researches about the structures of human genes and proteins, for their future application to the new drug discovery. We constructed the integrated database for human genes and proteins based on the wide variety of our research progress and knowledge as H-InvDB. We first released H-InvDB in 2004, and the latest release now in 2012 is H-InvDB_8.0. This book is the encyclopedia of human genes. The human gene has been considered as there are more than 30,000, but the many of these functions has not been elucidated yet. In this book, for approximately 20,000 human genes which have been studied in detail, we summarized the human gene information such as the gene structure and function and expression. 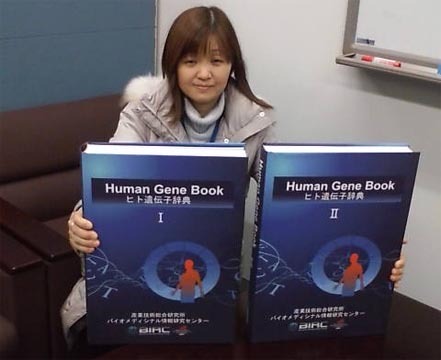 "Human Gene Book" consists of two volumes (I, II), 1400 pages, at A3 size and weighted 10.6kg totals. 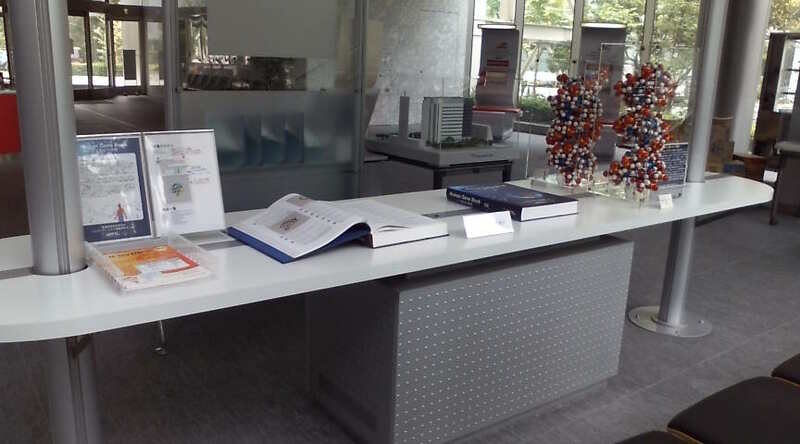 "Human Gene Book" provides access to information of human genes. Read on mobile devices, you can access the database itself. 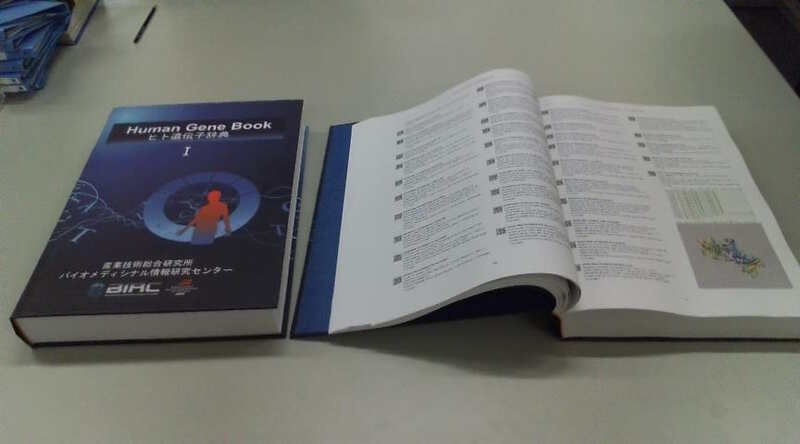 Here you can refer some samples of the contents of the "Human Gene Book". We acknowledge the warm supports of many people below for publishing "Human Gene Book". 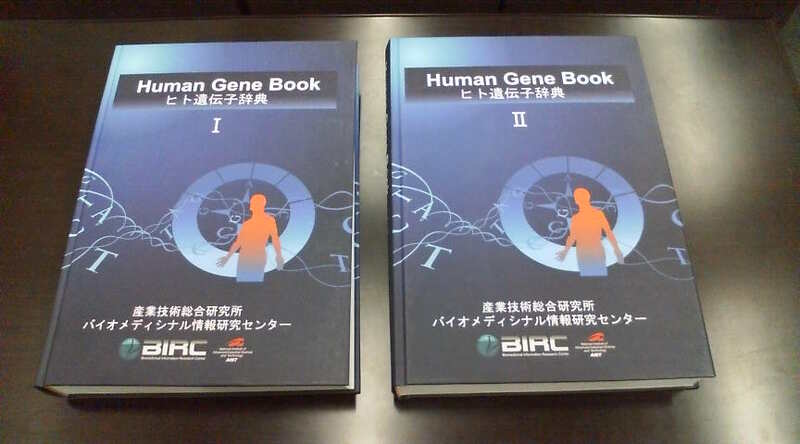 Ms. Chisato Yamasaki and Mr. Jun-ichi Takeda, the technical staffs of Integrated Database and Systems Biology Team, Biomedicinal Information Research Center (BIRC), National Institute of Advanced Industrial Science and Technology (AIST), took the central role of the "Human Gene Book" publishing group and edited the most of the contents of the book. 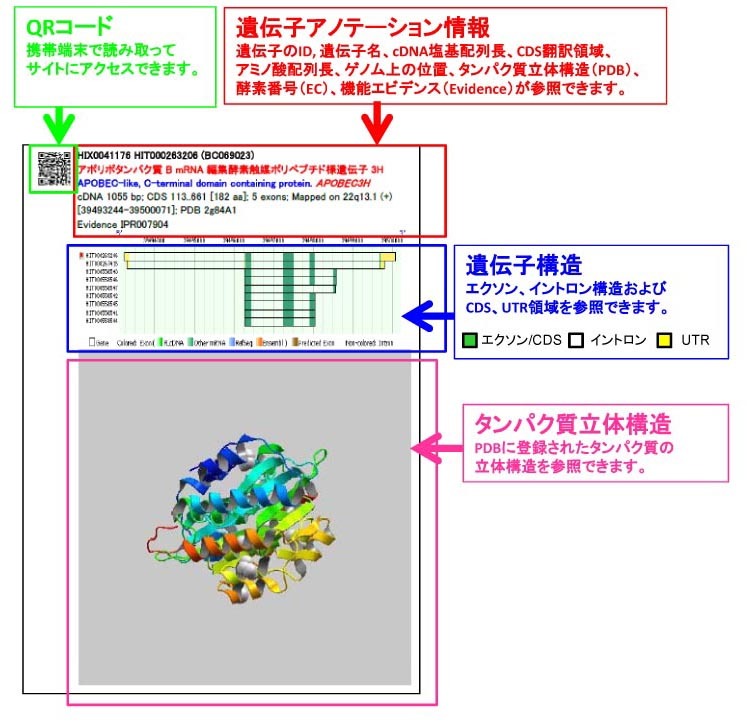 Dr. Tetsuro Hirose, Dr. Kaoru Mitsuoka and Dr. Naoki Goshima, research team leaders of BIRC, and Dr. Makoto Shimada, a former researcher of BIRC, had edited their detailed explanation of their recent research progress about the genes. Dr. Fukunishi, the senior research fellow of BIRC, and Dr. Nobuo Nomura, the acting director of AIST Tokyo waterfront center, gave us many valuable advices for the planning of the book. Also, Dr. Hitoshi Uehara, the director of AIST Tokyo waterfront center, gave warm understanding and support for our outstanding publication project. In addition, although it is difficult to mention all the names, more than 150 collaborators contributed in several ways to construct H-InvDB, which is the major basis of this book. Copyright©2004-2012 BIRC, AIST. All Rights Reserved.